"Get your lizard hands out of there," is a thing Tosi says to Fallon at one point. It's been a busy few weeks for Milk Bar's Christina Tosi. 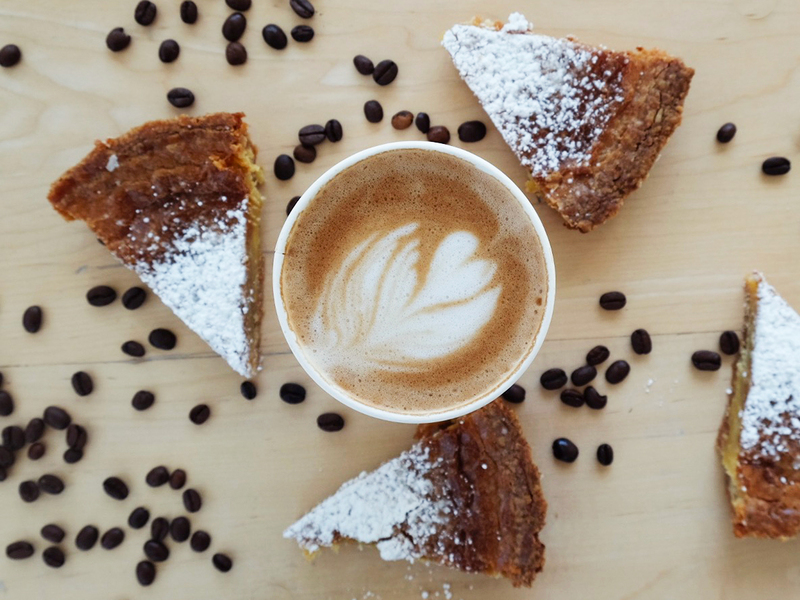 First, the bakery's chef and founder opened Milk Bar's first-ever Massachusetts location in Cambridge—making it the mini-chain's sixth outpost. 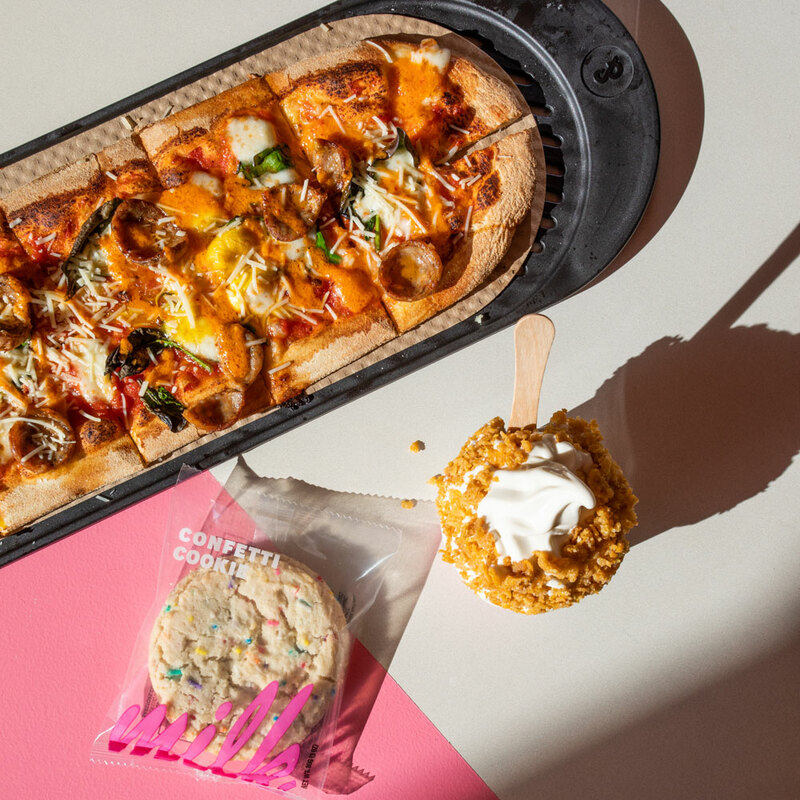 Tosi even came up with a Boston-specific item for the occasion: the “Boston Cream Pie Milkquake,” which combines yellow cake, fudge sauce, cereal milk soft serve, and liquid cheesecake. And yesterday, she made an appearance on The Tonight Show, where she attempted to teach Jimmy Fallon the (admittedly complicated) recipe for Milk Bar's signature popcorn cake. It's complicated because popcorn is used in literally every step: the layers, the milk the cake is soaked in, the fudge, and the pudding. "We take fresh popcorn, we grind it down, and we start to play around with it in the kitchen," Tosi says. She then bends a 25-cent spoon into a ladle, hands it to Questlove, and instructs him to start spooning popcorn milk over the cake layers while Fallon steals a bite of that popcorn-infused pudding. "Get your lizard hands out of there and get it in the cake," is Tosi's response, which is the correct one. "I don't know about you, but I'm about celebrating the great indoors—not the great outdoors—right now," the chef says earlier in the segment. Meaning, now is the perfect time to stay in and bake. You can find the full recipe for popcorn layer cake in Tosi's latest cookbook, All About Cake ($37 at shop.milkbarstore.com). Spoiler: you're going to need things like gelatin sheets and corn powder, but the book also contains recipes for less-involved sweets, like two-minute microwavable mug cakes. Or, you could always go the easy route and order a six-inch popcorn cake from Milk Bar's website ($50.50 at shop.milkbarstore.com). It even comes with a side of pickled strawberry jam, and a package of caramel popcorn to sprinkle on top.